Starting a business isn’t an easy process. You have to carefully plan out your boutique and implement that plan carefully. 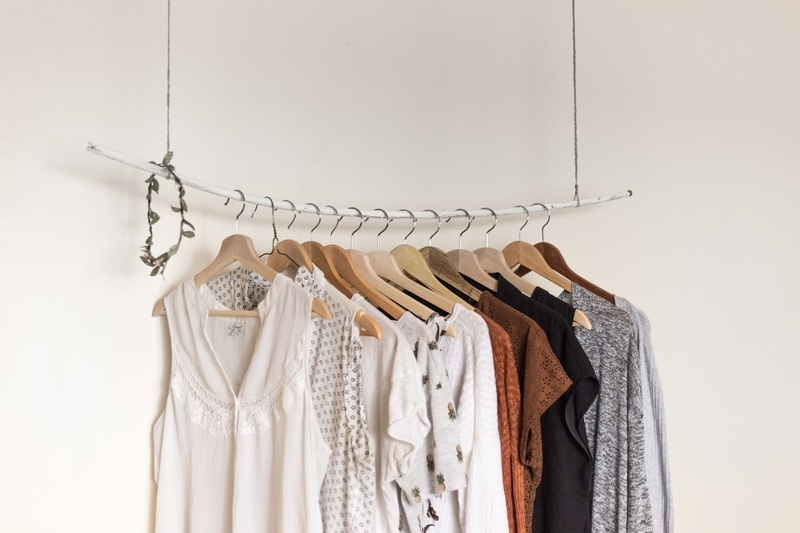 How do you make sure that your boutique stands out from the crowd and gets off the ground? In this article, we are going to go over just 9 simple tips that you can use to get your online boutique going. When you are planning your online boutique, it isn’t the time to jump in the deep end to learn how to swim. Instead, there is a lot of preparation involved beyond just getting your products together so you’ll be ready for incoming orders: you need a business plan. There are two main types of business plans that you will be considering and those are a lean plan and a full-length plan. If you are simply planning out the business to keep yourself on track, you will need to create a lean plan. These are shorter, generally easier to write, and written as a guide to keep a company on track. If you need to get investors on board or take out a bank loan, you are going to want to write up a full-length plan. This will be more formal and go into more detail about your business. Another thing you need to consider is the suppliers of your good. However, this will depend on how big your business is. For example, some businesses are rather small and focus on handmade products. If this is the case and you only want to have a small boutique in which you make all the products you sell, you don’t need to worry about this quite yet. For fashion labels and tags, check Wunderlabel’s site. If you aim to have a bigger, more manufactured boutique, though, you do need to think about suppliers. You need to vet these suppliers carefully for a couple reasons. You want to make sure that you are getting quality products and you want to make sure that your suppliers are reliable enough to get products where they need to go and to make sure that they get there on time. 3. Where Will You Sell? There are a lot of options for those creating an online boutique and you need to consider your options carefully. There are sites that offer a lot of organic traffic and are tailored to help online boutiques that you can use. A great example of a site like this is Etsy which allows consumers to search a collection of boutiques to find what they need or even visit these e-boutiques individually. Another option is to start your own website. This is a great option because it gives you pretty much total control over the format and consumer experience. However, it will be a little harder to start getting traffic flowing onto your site. If you want to increase your traffic, you might want to consider teaming up with other brands. This with a couple of things. First, it can increase the number of people who know about your business. For example, if a company you work with teams up with you, you can put a link to their website on yours and vice versa. This will prompt customers of the partnered company to click the link and view your website. In addition, being teamed up with bigger brands makes your newer company look more legitimate. It prompts customers to take a chance on you when they otherwise might be more cautious to give money to a business that they don’t know. You should be careful to craft your about page and be responsive to customer requests and questions. This shows your new customers that they can rely on you and demonstrates who you are as a company. By doing this, you build trust with your new customers and they are more likely to come back and buy from you in the future. Another thing that you want to do is to make sure that you offer payment plans that are good for any potential customer who wants to buy from your store. After all, the last thing that you want is for a customer to be ready to purchase from your boutique and then be unable to. This means supporting multiple, popular payment plans such as the use of debit or credit cards and other payment options like PayPal as well. One of the best ways to spread the message of your company and its products in today’s world is to use social media. In addition, you can advertise your company for free using social media. So, it’s best to make sure that you set up social media pages for your business and make sure they are kept updated regularly. You want to be search engine friendly when you are creating your website and any content you release. To do this, you will want to incorporate highly searched keywords in your content. If you are having trouble, there are plenty of SEO tools online that will help you find keywords and determine their proper density in your content. It is important that your site is responsive to mobile devices when you are cultivating a strictly online business. This is because most people don’t sit down at a desktop to do their online shopping. In a busy world of mobile devices, it’s easier for people to shop on your site using devices like their phones. As such, you need your site to work on mobile so customers will bother using it.